Joe Farrell, known in the '60s as a solid hard bop tenor saxophonist, branched out in the '70s. 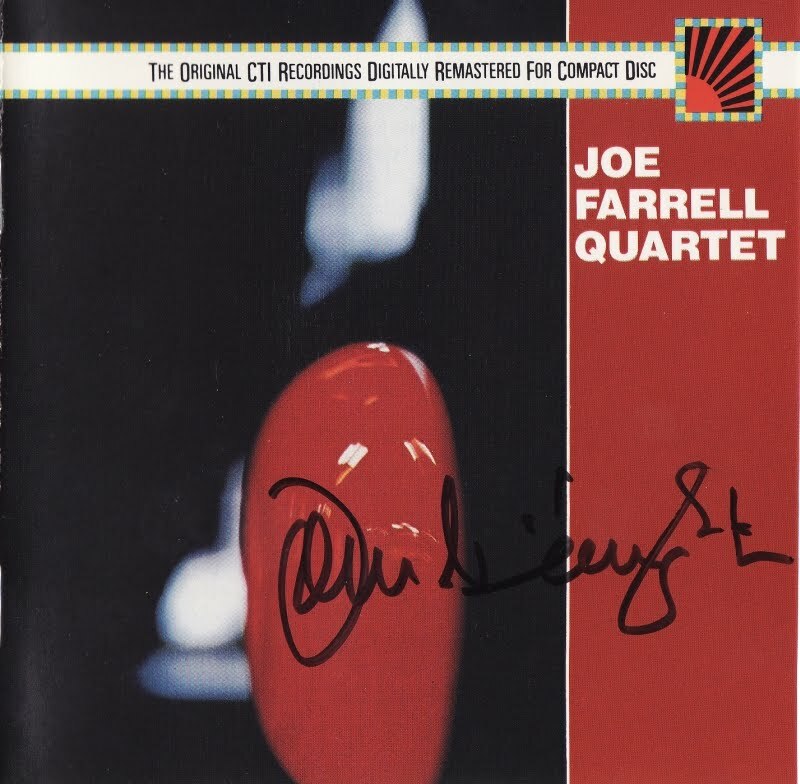 On this near-classic album, Farrell switches between tenor, soprano, flute, and even oboe while being joined by a rather notable backup crew: keyboardist Chick Corea, guitarist John McLaughlin, bassist Dave Holland, and drummer Jack DeJohnette. In addition to a famous version of McLaughlin's "Follow Your Heart," the material includes originals by Farrell and Corea, and the leader makes a strong impression on each of his horns. I am taking this mainly because of the presence of John McLaughlin and reviews that note this release is not of the usual CTI overproduction sort. Many thanks.